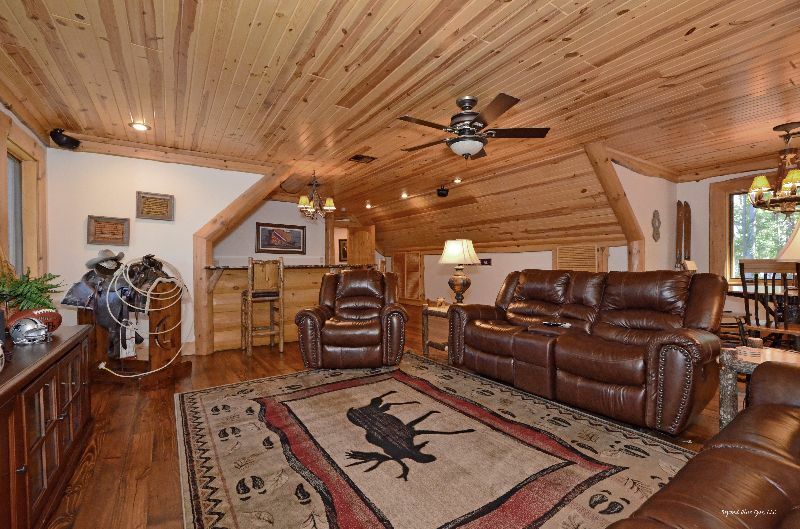 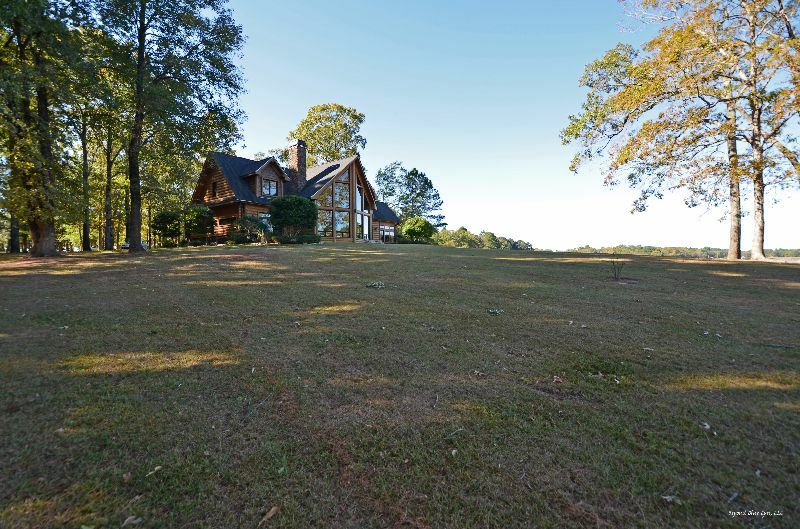 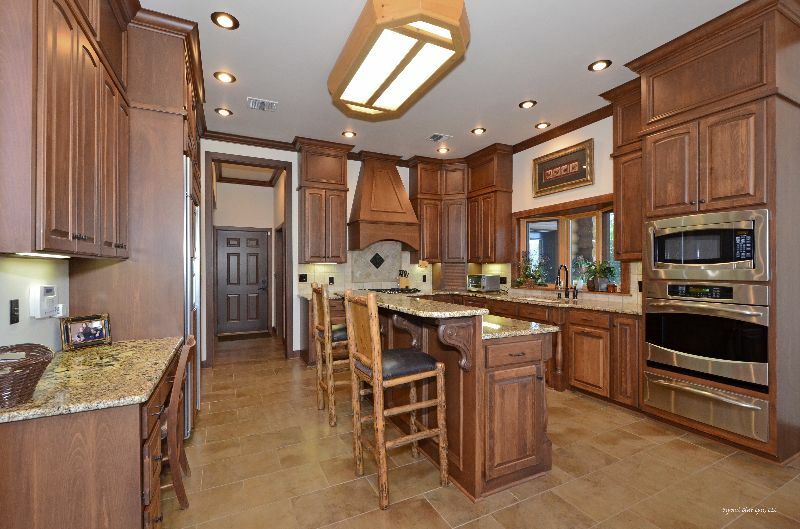 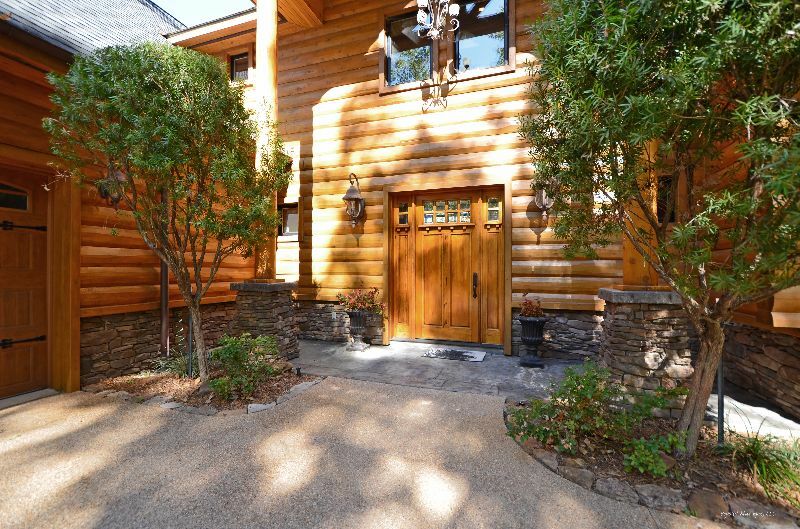 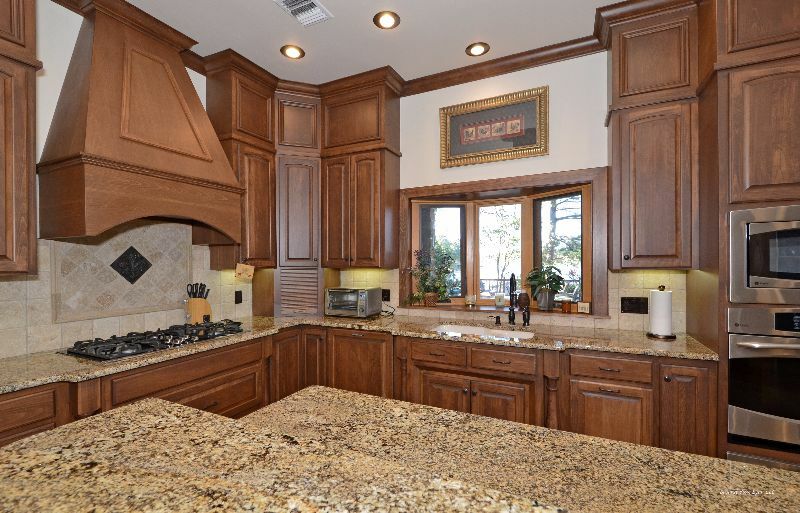 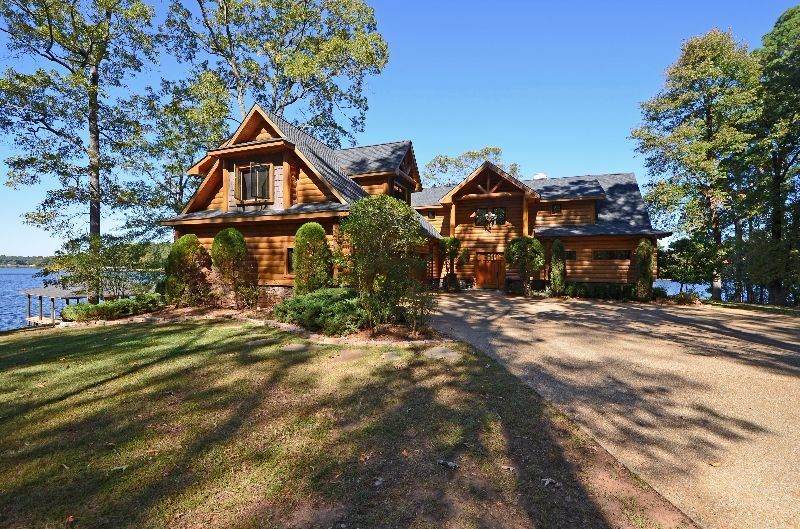 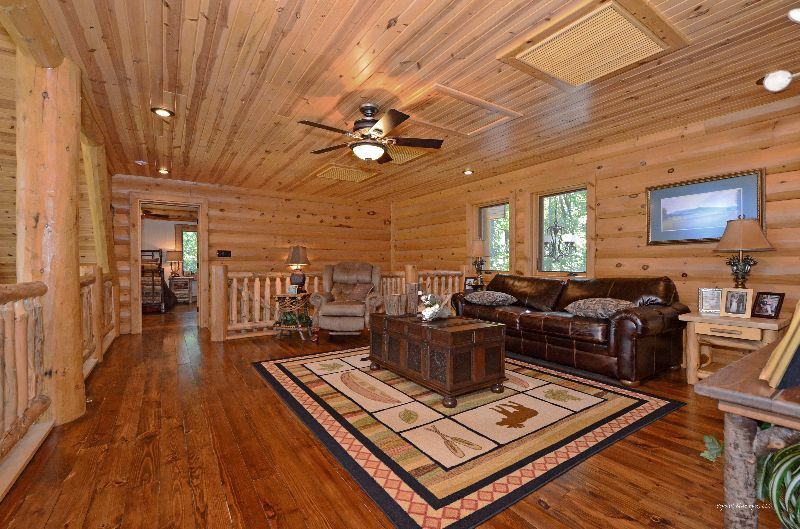 This Louisiana log home was built to stand the test of time and to provide immense enjoyment and pride of ownership. 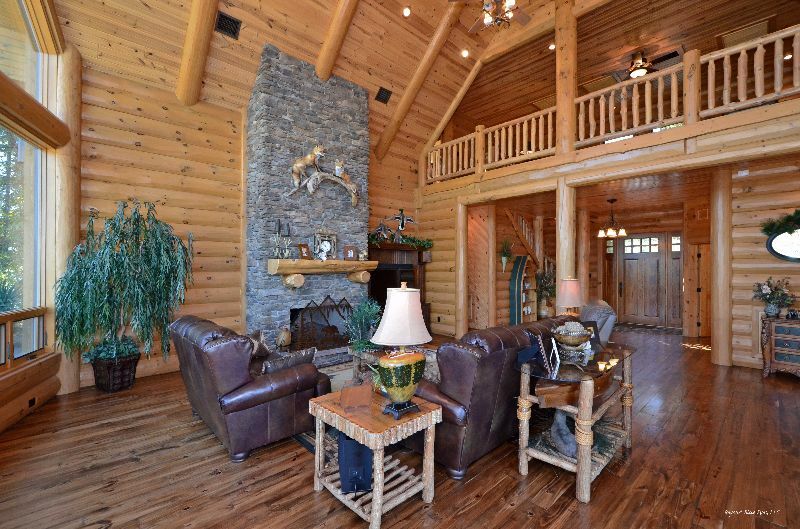 A typical Sunday afternoon at Larry and Sandi Lott’s log home feels like something out of a classic movie that’s set in the South. 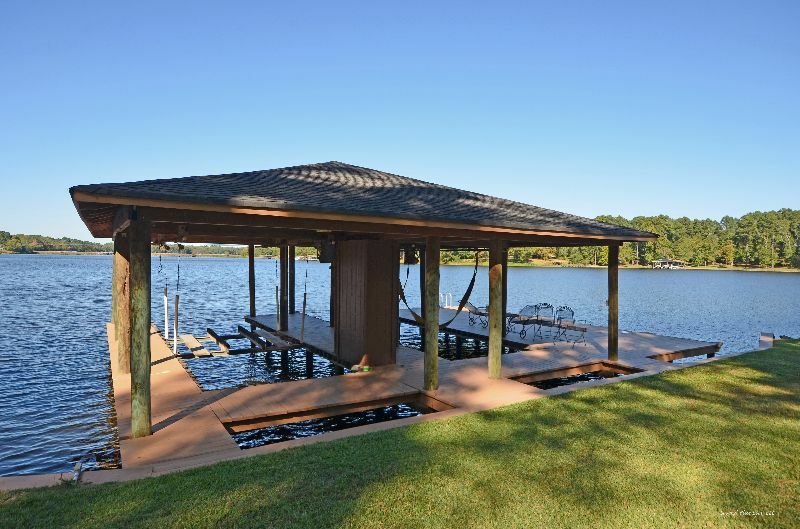 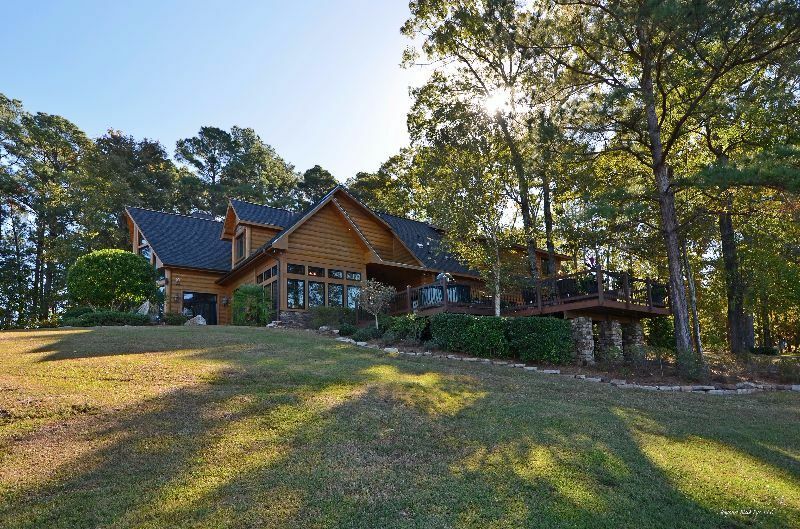 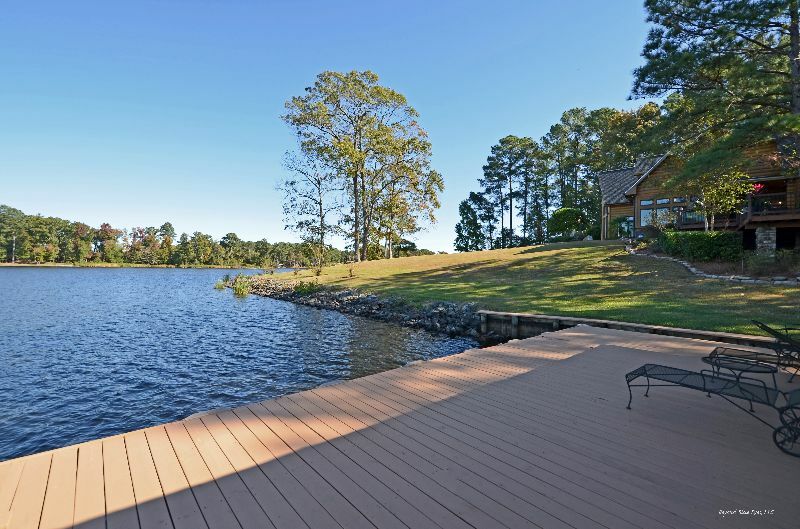 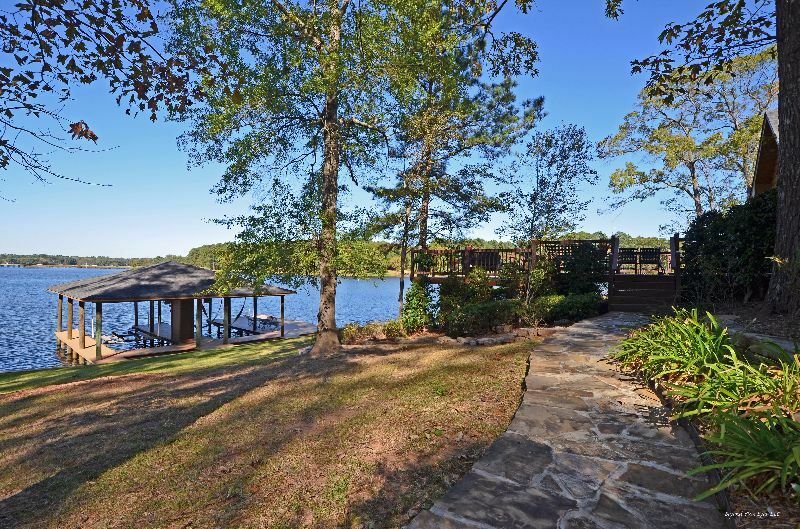 Sipping sweet tea and enjoying a beautiful, 360-degree view of Cyprus Black Bayou Lake, the Lotts, along with their friends and family, relax and unwind on a one-acre peninsula where the couple built their log cabin home in 2009. 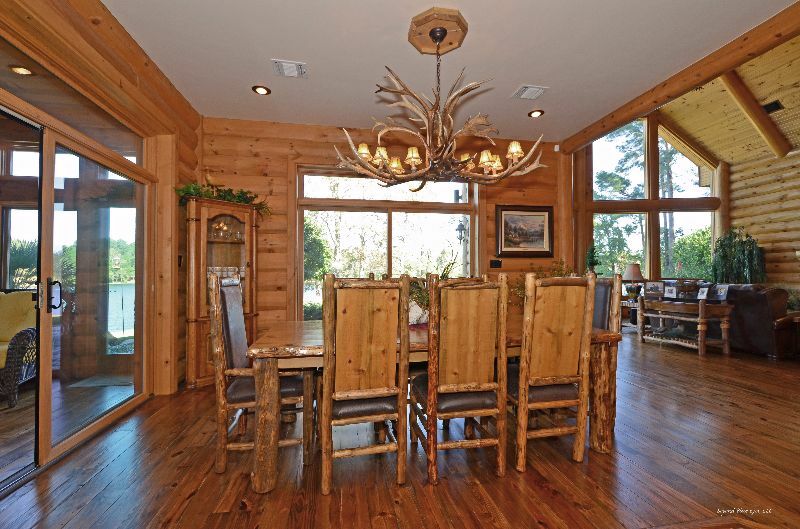 The Lotts, who are both retired and the owners of several homes, built their three-bedroom Benton, Louisiana, log home with the intention of replicating the time they’d spent together at Big Cedar Lodge, a popular vacation spot located about 10 miles from Branson, Missouri. 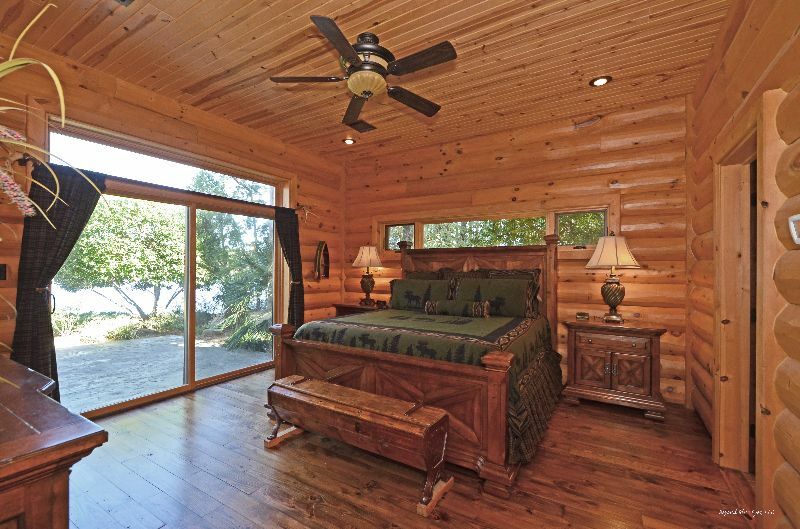 After talking to the log producer for that home, Wisconsin Log Homes, Inc., of Green Bay, the Lotts worked with the firm to “start breaking down the original design and revamping it to meet our needs,” says Larry. 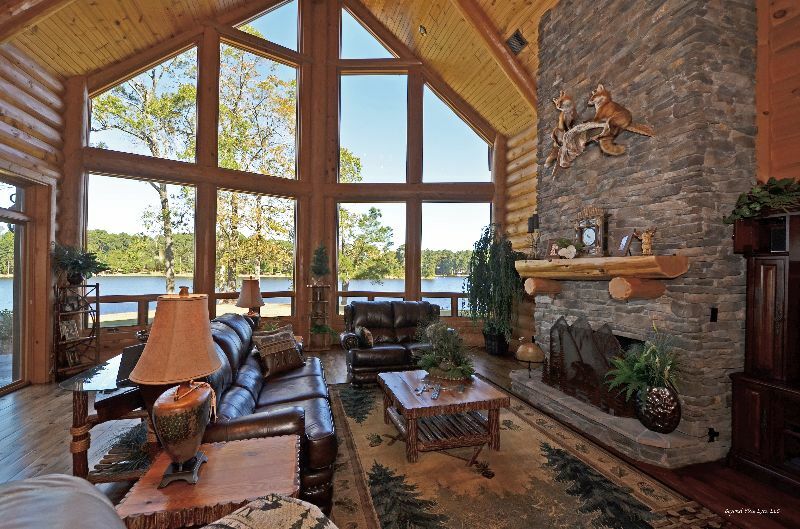 Key elements the Lotts wanted to incorporate were an oversized great room with a lake view, an abundance of windows (“there’s not one curtain in the house,” he says), and a 25-foot-high stone fireplace in the great room to serve as a focal point for anyone who is in the home’s dining room, kitchen, or sunroom. 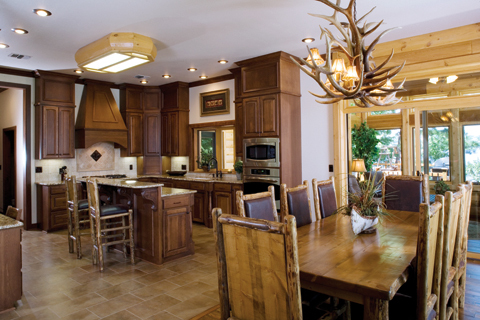 Intent on incorporating as many green elements as possible into the home, Larry and Sandi insisted on addressing the environmental issue early in the game. 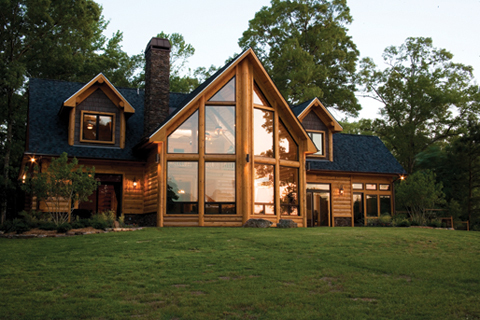 They selected a DuPont Tyvek® weatherization system; R-39-factor insulation for the walls and ceilings; tankless water heaters; and a two-stage, variable speed air conditioning and heating system (the latter operates on 90 percent LP gas). 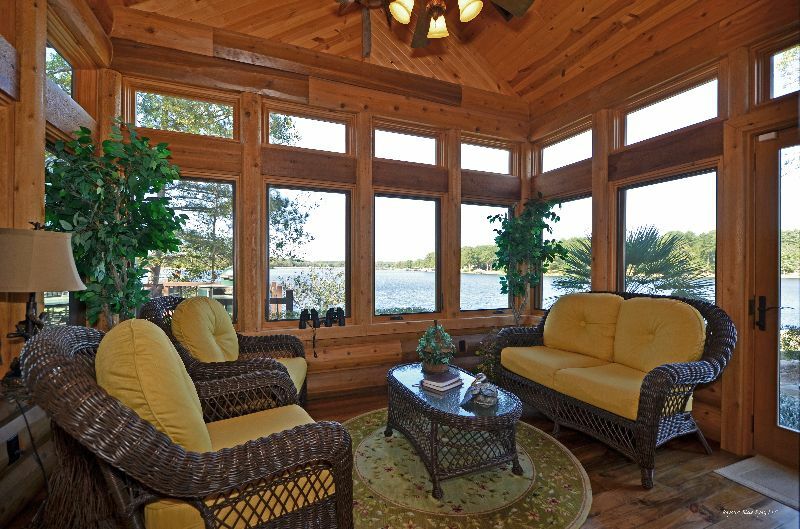 Those early decisions have resulted in a home that’s “incredibly inexpensive to heat and cool,” says Larry. 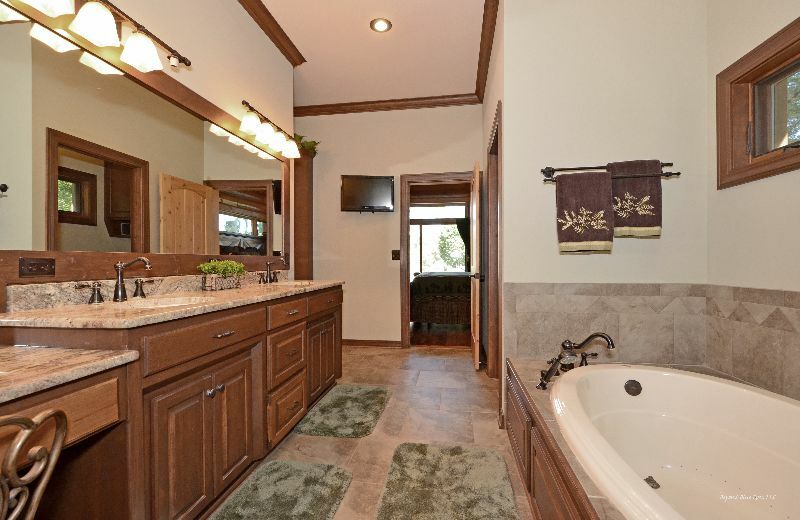 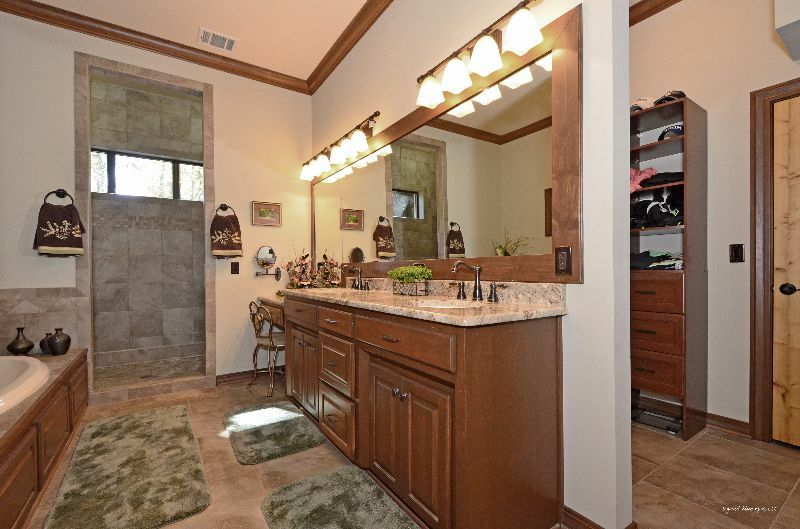 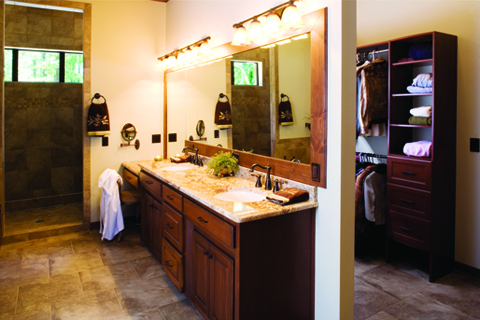 In the home, all fixtures are water-efficient and all commodes are low-flow. 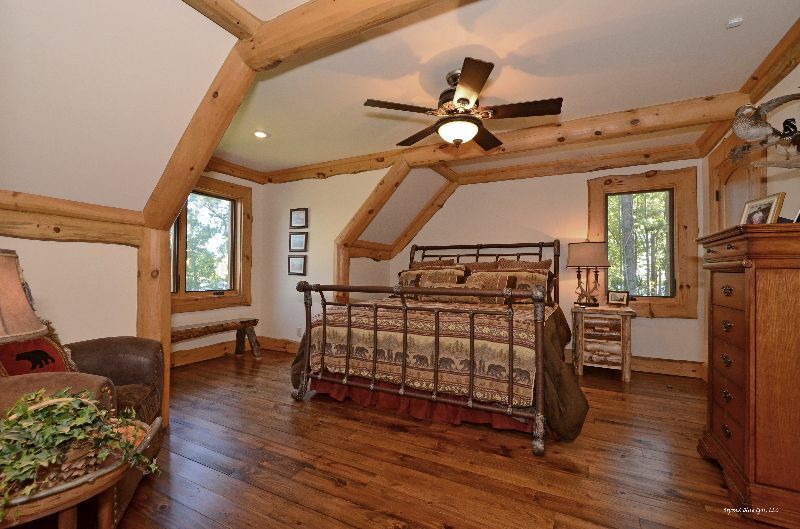 One of the Lotts’ biggest points of pride is the 102-year-old pine lumber that was salvaged from a demolished school building, and then used as flooring for the home’s first floor. 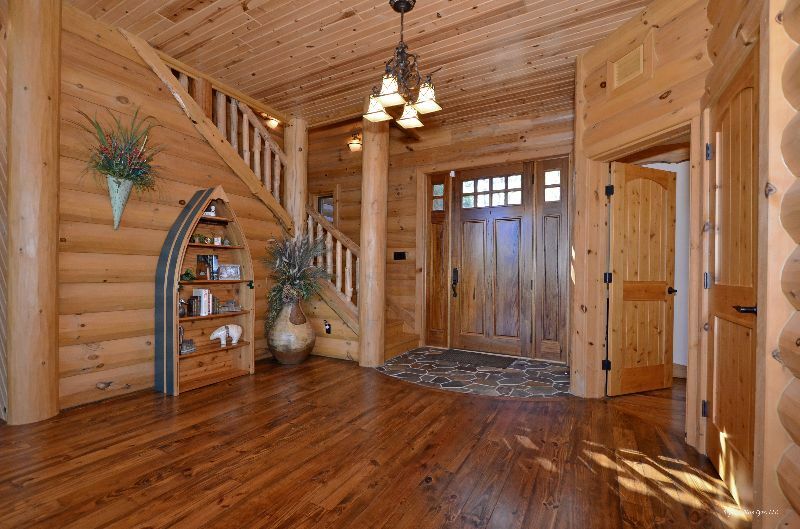 Hard as steel and impossible to replicate, this one-of-a-kind floor is one of the first things guests notice when they walk in the door.